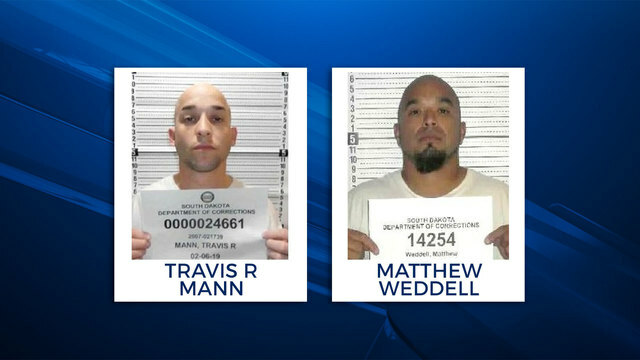 Two South Dakota inmates have been placed on escape status after failing to report to a community service jobsite in Yankton on Saturday. 36-year-old Travis Mann is described as a white male, 5'10", 140 pounds. 38-year-old Matthew Weddell is described as a Native American, 5'7", 180 pounds. Mann is serving time for possession of a controlled substance and forgery. Weddell is serving time for grand theft.